Lube Oil Varnish Removal & Prevention. Combustion turbines (CTs) utilize lubricating and hydraulic control fluids for a wide range of applications. CTs with combined lube and hydraulic control reservoirs (GE Frame 6/7) are susceptible to varnish deposit formation which leads to unit trip and fail-to-start conditions (servo valve stiction) especially in the growing population of peaking gas turbines. Group I lube oils have given way to Group II base stock oils which have lower solubility characteristics. Lower solubility means that the newer Group II lube oils cannot hold the same levels of soluble (dissolved) or insoluble (suspended) oxidation and thermal degradation by-products in the oil thus leading to more problems with sediment, sludge and deposits (varnish). Hy-Pro has the solution to make varnish vanish . . . The SVR (Soluble Varnish Removal) removes oxidation by-products while still in solution (dissolved) to remove varnish deposits that have formed over time and to prevent varnish from ever forming. Stop varnish before it stops you with SVR! Varnish & Solubility. The solubility of oil is directly related to oil temperature. Warmer oil can hold more oxidation by-products in solution but as the oil cools oxidation by-products (feedstock for varnish deposit formation) comes out of solution and can form deposits in servo valves and other critical components. The first video below shows two oil samples from the same gas turbine with 3 year old oil which had MPC value of 35 (common for gas turbines). The sample on the left was treated with SVR (Soluble Varnish Removal) technology to remove soluble oxidation by-products, and the sample on the right was left untreated as found in the turbine. At the beginning of the video both samples show oil with acceptable solubility indicated by clear oil appearance and no visible insoluble contamination above a temperature of 40C / 104F. As the oil is allowed to cool (simulating turbine off-peak or shutdown) the solubility of the oil decreases and the soluble oxidation by-products previously held in solution in the untreated sample on the right are rejected by the oil and become insoluble as the building blocks for varnish deposit formation (cloudy appearance of the oil). The SVR treated sample on the left has no soluble oxidation by-products in solution and thus it can safely cool without releasing varnish causing contaminant which will result in successful turbine start without varnish related unit trip or fail-to-start condition. Main Bearing Lube Elements & Non-Sparking Element Upgrades Filter element sparking is now a recognized source of thermal fluid degradation along with pressure induced dieseling in CT lube and hydraulic control circuits. Improvements in filter media efficiency coupled with higher flow rates and more resistive Group II oils has brought filter element spark discharge to the forefront in many power plants. A common reaction to sparking has been a migration to coarser filter media selections (i.e. 25~40 micron nominal) to try to minimize the occurrence of sparking. Although sparking might be reduced with such choices fluid cleanliness and bearing surfaces suffer as ISO Codes trend higher over time. Hy-Pro has developed a full range of NSD (Non-spark discharge) filter elements for any lube or hydraulic application that maintain low ISO Codes and stop thermal fluid degradation associated to element spark discharge. Ask us about Hy-Pro NSD filter element upgrades. Cooling Tower Gearbox service often comes with confined space requirements. Changing the oil by traditional gearbox drain and refills can and should be avoided by using portable or permanent dedicated filtration systems that feature particulate and water removal filtration. Avoid premature gearbox rebuilds and replacements, keep cooling towers turning, and avoid premature fluid replacement with Hy-Pro's range of off-line fluid conditioning solutions for gearboxes. FD and ID Fans DFE rated filter element upgrades ensure reliable fan operation and low ISO Codes. Dedicated off-line filter panels and skids are also suitable where fans are not fitted with sufficient contamination control. The V1 portable mini-vacuum dehydrator is ideal for solving periodic or continuous water issues on FD and ID fan reservoirs. Boiler Feed Pumps and Seal Oil Many BFP or Seal Oil systems utilize antiquated filtration (i.e. Auto-Kleen) with coarse wire mesh filtration leaving ISO Codes excessively high for optimum reliability. Upgrade elements to Hy-Pro DFE rated elements, and housings to Hy-Pro DFN series duplex filter assemblies or MF3 simplex housings featuring DFE rated high efficiency glass media elements for years of reliable performance. Bulk Fluid Handling Dedicated filtration and breathers on bulk storage tanks for lube and hydraulic oils and stand-by diesel fuels is the first line of defense in preventing one of the worst sources of particulate and water contamination, new fluids. Bulk storage tanks collect contaminants from delivery vehicles and through ineffective breather arrangements. 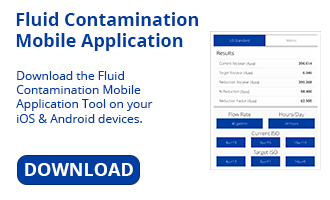 Eliminate this dangerous source of contamination and before transferring new fluids into critical power plant operating systems. Filter Carts are also a valuable tool for keeping fluids clean when transferred from storage to critical live systems. Compressors Large compressors typically utilize the same turbine oils used in the turbine lube reservoirs and are susceptible to many forms of contamination including varnish, particulate contamination and water contamination. Hy-Pro has a suite of solutions available to improve compressor reliability including DFE rated element upgrades, Water Removal Elements, varnish mitigation and acid removal. Combustion Turbine Air Intake Misting (fogger) Systems for Cooling Intake Air Combustion turbines (ie GE Frame 7) are equipped with misting / fogging water spray systems for cooling of intake air. High pressure in-line filters are used to protect injector spray nozzles from pump seal debris, pump abrasive wear debris and contaminated water supply. CT air intake misting systems are typically found on turbines installed in hot temperature climates. Upgrade your in-line filter to Hy-Pro's PFQ290960S to maximize the life of your injector spray nozzle.